Challenge: I travel a lot and would love a convenient hopper that I can take with me to store balls and have them easily accessible. Solution: Improved Handy Hoppers now hold up to 36 balls. Great for travelling coaches. No more cardboard boxes at tournaments. Also convenient for high school and college coaches to rove courts and keep balls handy. Comfortable to wear around the waist. 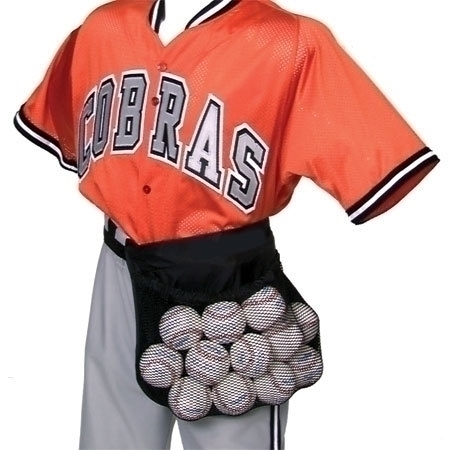 Expandable pouch holds up to 36 tennis balls, 34 Pickleball balls or baseballs, and 21 softballs.